PT Dahana (Persero) - Dahana is a reputable state-owned company in Indonesia, running business in strategic industry. Based in Subang West Java, Dahana has strong business focus on energetic materials. Dahana offers integrated explosives services for general mining, oil and gas, quarry and construction. Dahana also involved in defense explosive services, and other supporting services. 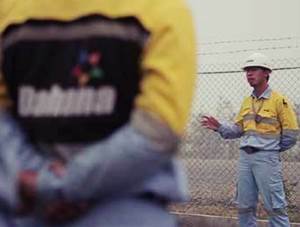 According to information found in the Company's website, Dahana was first established in 1966 and initially started as Proyek Menang (Winning Project), a dynamite factory project in Tasikmalaya West Java based on the NG with a license from Hispano-Suizza by the Indonesian Air Force (AURI). In 1973, the project transformed into state-owned company under the name of Perusahaan Umum (Perum) DAHANA. The name of PT Dahana (Persero) officially launched in 1991. PT Dahana (Persero) now has Emulsion Plant in Tasikmalaya, Detonator Plant in Turen Malang, DANFO Plant in Subang, Integrated Magazines Plant in Subang, and Shapedcharges Plant in Tasikmalaya. Possess certification KJL II is preferred. Willing to be placed in site project DAHANA in all over Indonesia. JobsCDC.com now available on android device. Download now on Google Play here. Please be aware of recruitment fraud. The entire stage of this selection process is free of charge. 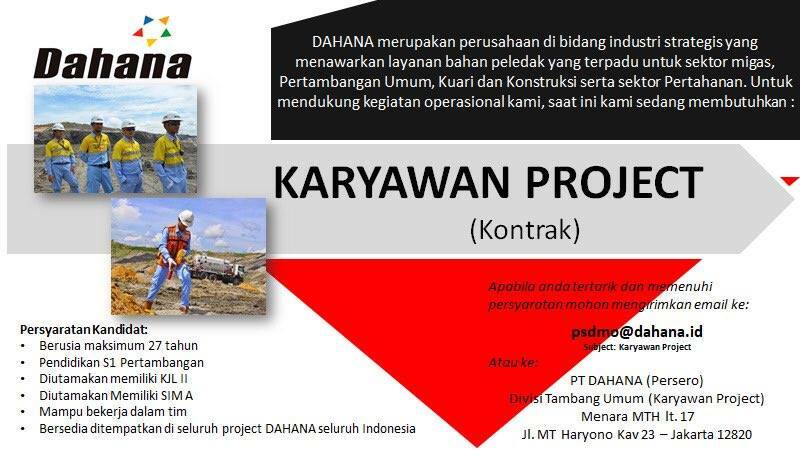 PT Dahana (Persero) - Project Employee General Mining Division Dahana May 2018 will never ask for fees or upfront payments for any purposes during the recruitment process such as transportation and accommodation.